This is an updated version of a post originally posted on the MemberTracker blog. CrossFit is a unique beast, as anyone who hits the ‘box’ each week knows. 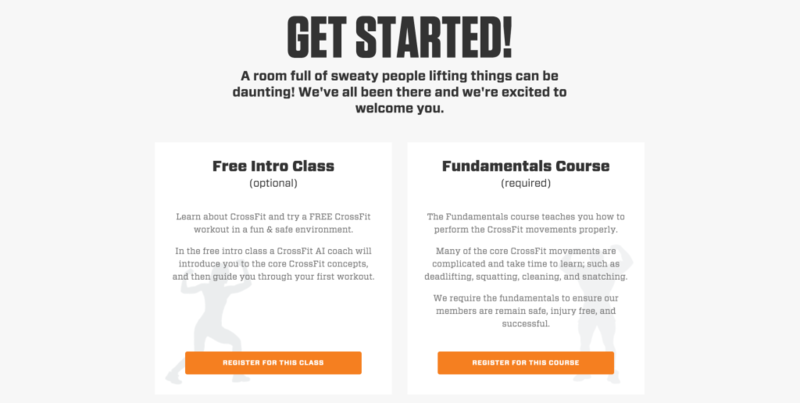 It fosters a strong sense of community among its members and celebrates intense workout routines that make non-CrossFitters jaws drop. 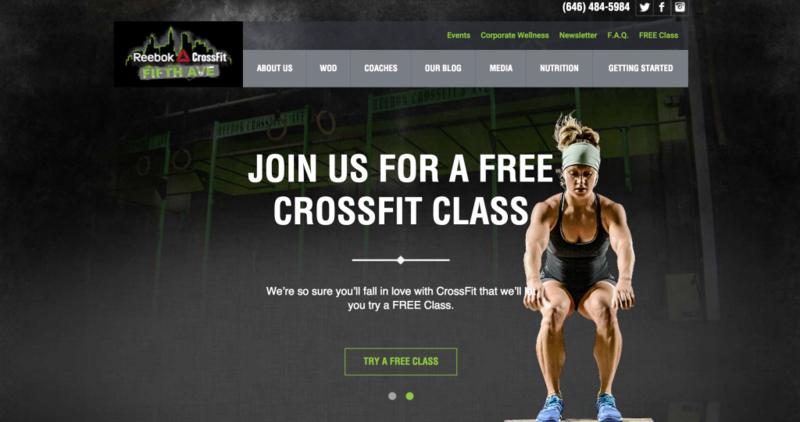 As an incorporated business with a trademark, CrossFit requires gym owners or ‘affiliates’ to adhere to some specific rules. 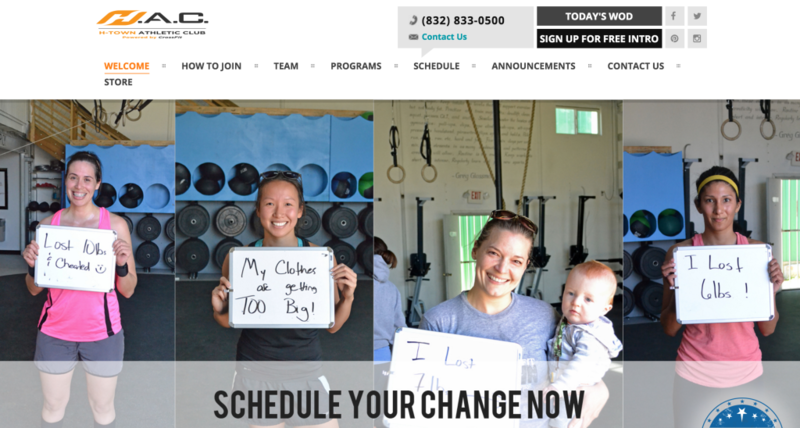 For instance, posting WODs or ‘workouts of the day’ is a must for each affiliate website. 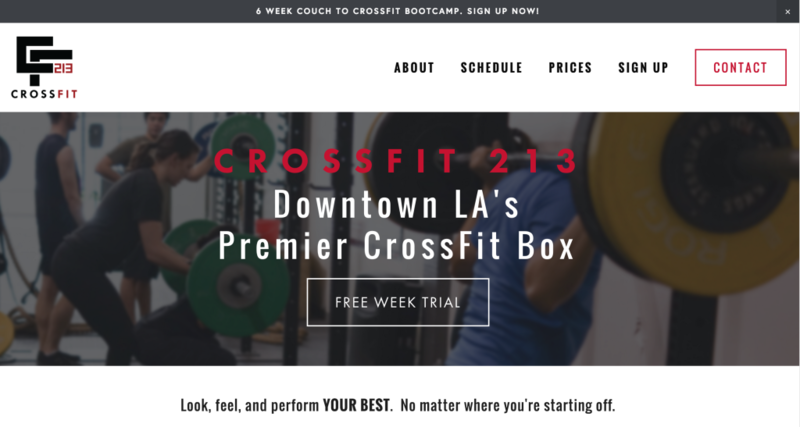 So we were somewhat surprised to see the scope of different CrossFit sites that are out there; from overall design and menus to the presence of blogs and social media options, there’s a lot of creativity. 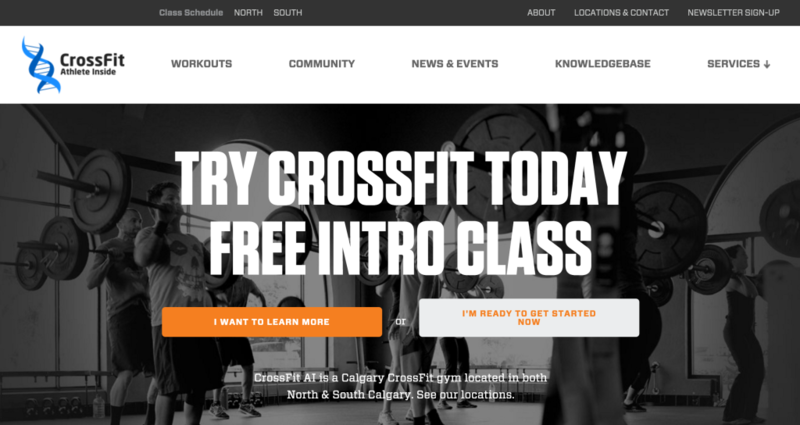 We thought we’d sift through a few (ok, more like a few dozen) CrossFit sites in major cities across North America and come up with a list showcasing what the best ones are doing right, based on today’s digital marketing best practices. 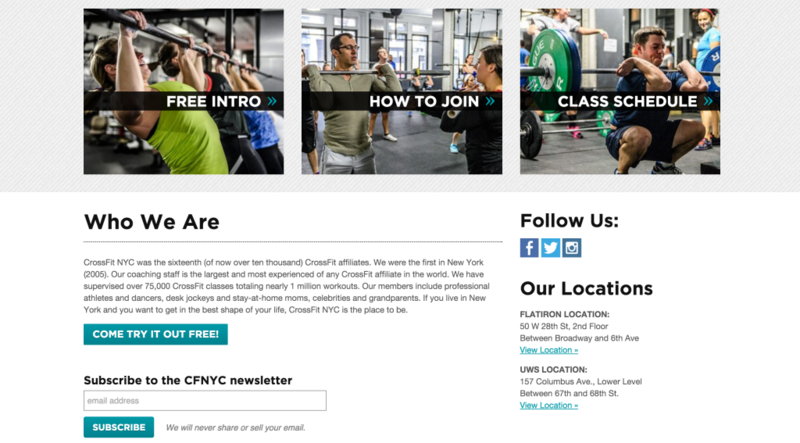 Whether you’re an affiliate owner or the proprietor of another small gym, we hope the reviews below will give you some pointers on how you might improve your own site. There’s no one-size-fits-all here, but you’ll notice some trends as you scan your way through. 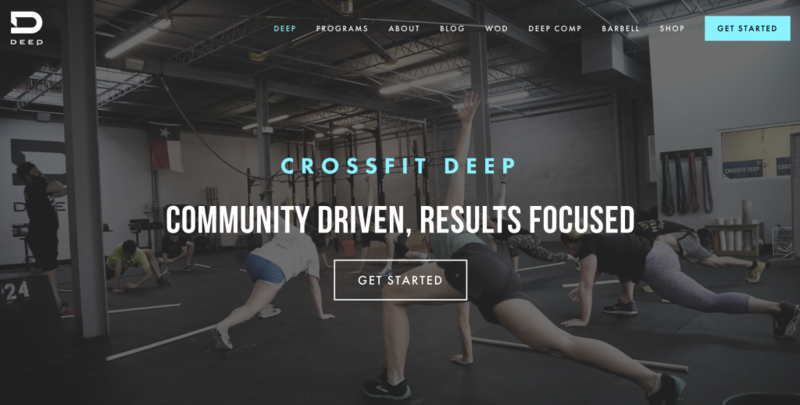 A few things to note before you get started: 1) We based our critiques on how useful the sites are to new visitors and people interested in CrossFit. That is, we assume the point of most websites is to bring in new clientele, not just act as a hub of information for current clients. 2) Each site on the list appeared on the first page of our Google search results. Our thinking was that, even if you have the most attractive and functional website out there, it won’t matter much if people in your area can’t find you (See this post for advice on getting started with SEO). 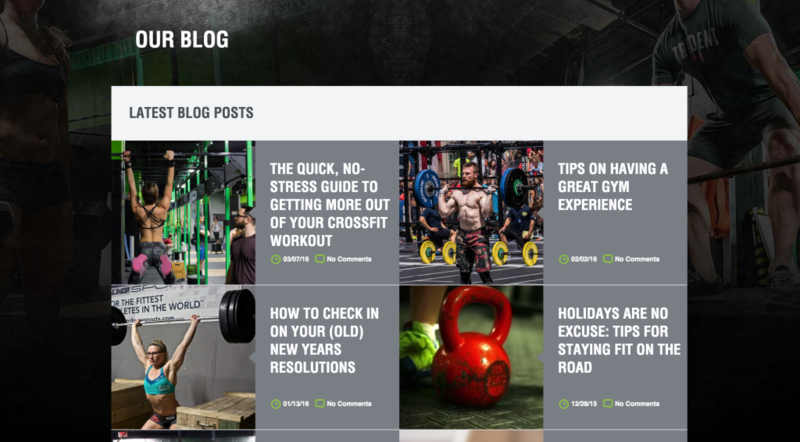 3) This post has nothing to do with the ‘bestness’ of the gyms themselves (although we’re sure they’re great); we’re only talking websites here. 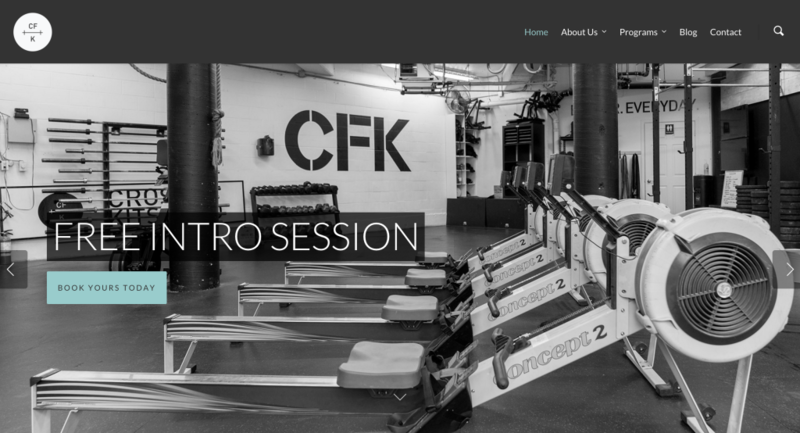 Even the most beautiful, customer-friendly business can have a lacklustre digital presence, so don’t take this post as an endorsement of the services these gyms provide, or as a cold shoulder toward those not mentioned! Sites that had too many rotating homepage slides or other moving/shifting parts – sensory overload! 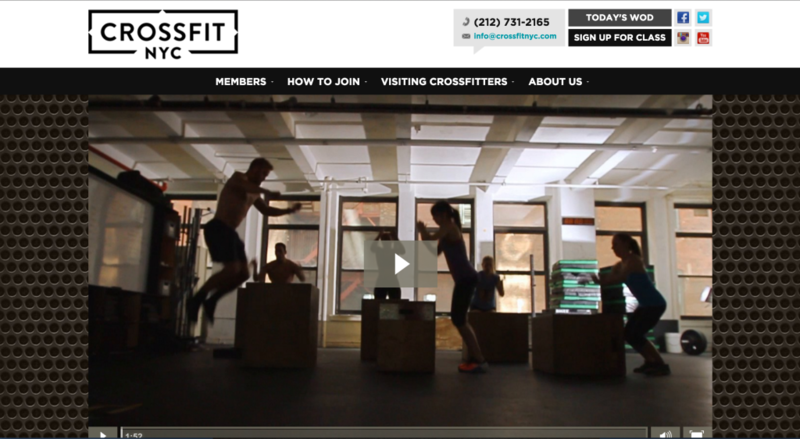 Homepage starts strong with a well-made video showing NYC scenes, people prepping for workout, lifting weights, box jumping…all set to dramatic music – who wouldn’t want to work out here? 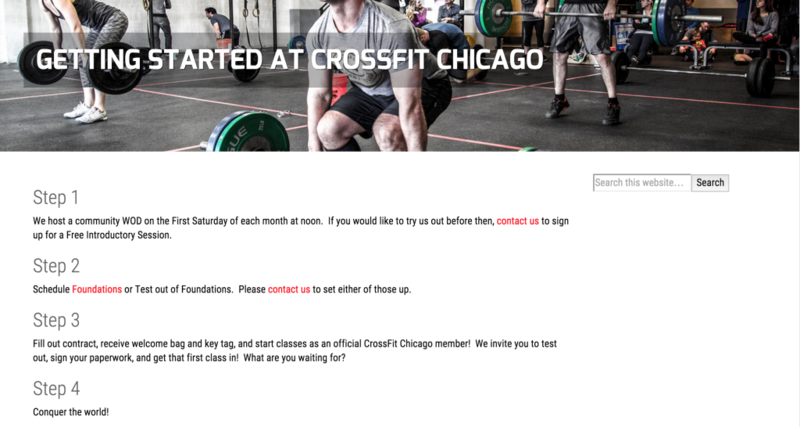 Love the two options: ‘I’m new to CrossFit’ and ‘Not my first rodeo’. Pretty much appeals to the two groups hitting the site! Get Your Free Marketing eBook! 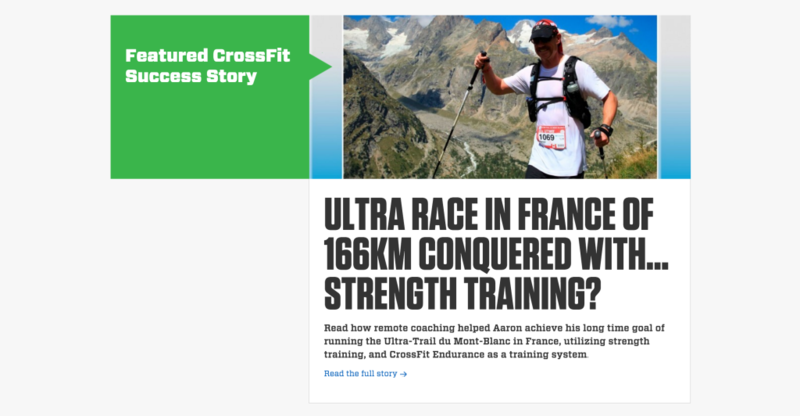 CTA is shown on every page – nice! 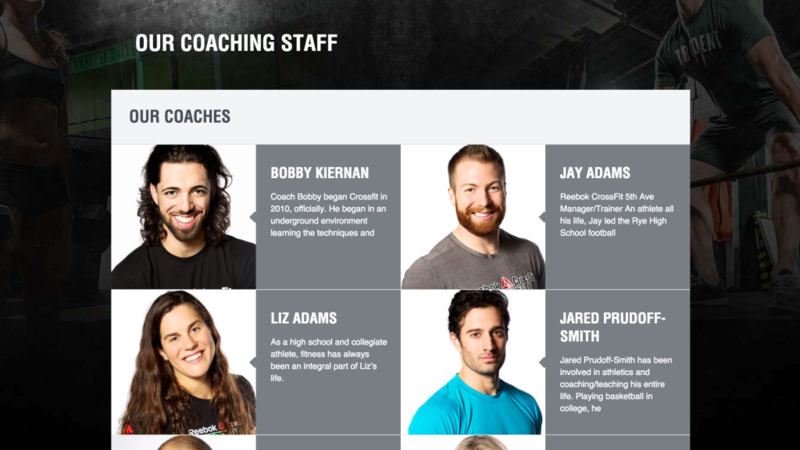 While the homepage doesn’t have a standout CTA, this site gets points for originality and awesome use of testimonials. As soon as you land on the site, you see a bunch of real people holding up white boards with their specific goals achieved written on them. 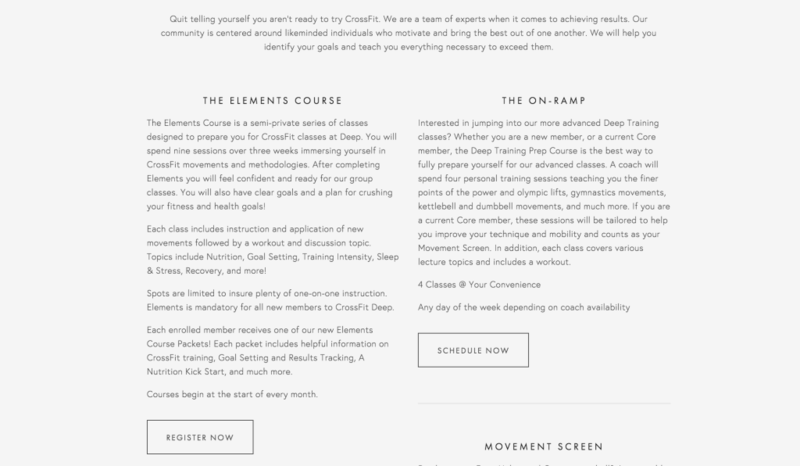 This page starts out very promisingly – a beautiful, pared back homepage with a strong image, and one clear CTA: “GET STARTED”. Alas – clicking on ‘REGISTER NOW’ results in a second descriptive page and a price, with no clear way to register. So close! Basically, this site makes visitors go through way too many steps before they’re able to provide their information and start classes. Still, points for an attractive design! 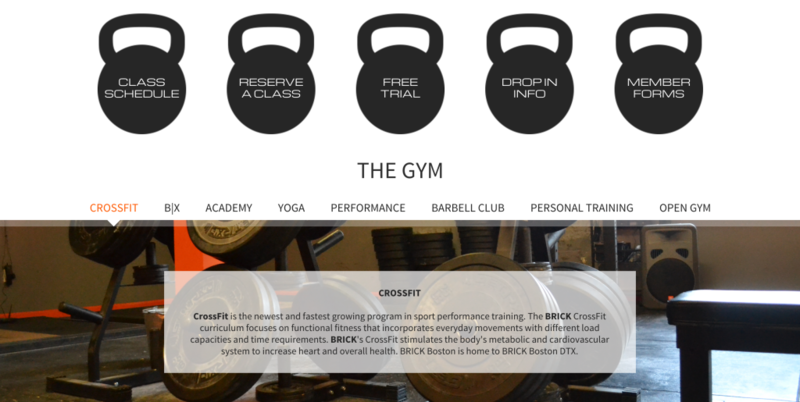 How does your gym’s website measure up to the eight above? There’s absolutely nothing wrong with admitting your online presence could use a tune-up. It took us several iterations before deciding on this blog’s current look, and we will no doubt make more changes into the future. The beauty of today’s site-building tools is that you have complete flexibility, lots of resources available and don’t have to spend a fortune to get the website you want. So take a step back, critique your current site and make a few tactical changes. The easier it is for visitors to get a sense of who you are and how you can address their specific needs, the closer you are to that next membership sold!